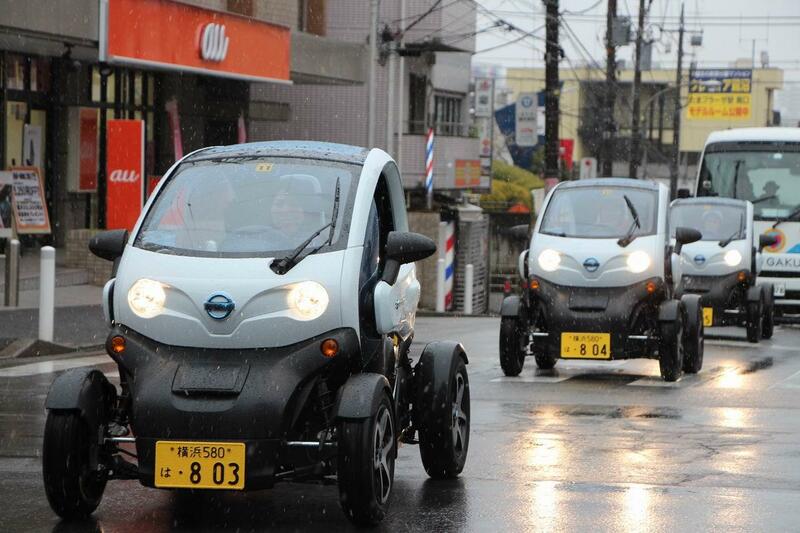 These Nissan NMC remind me of something...But i just can´t remember what that is. Ending the October month roundup, we get Japan, that with 2.145 units sold, it dropped 25% regarding last month and it's 224 less than a year ago. Looking at the models ranking, the Nissan Leaf continued in the four digit area (1.257 units), while the #2 Outlander PHEV registered just 560 units, a small number explained by Mitsu's focus on foreign markets. Finally, we assist the landing of the Renault Twizy Nissan NMC, with the first 45 registrations of a presumably short number of units. China is a hard market to get accurate data, but thanks to our reader Emc2, we've got some new data regarding it, giving way to an approximate ranking of this important market (4th largest worldwide). Up to October, sales mounted to some 7.800 units, 2.000 units less than a year ago, and most sales this year are BEV's (87%). Based on available data and past performances, the presumed Top 5 repeats last years #1, with the Chery QQ3 EV head and shoulders (56% share) above all else with 4.207 units sold, in #2 the BYD e6 is way behind with 1.096 units, followed in third by the soon-to-be-deceased BYD F3 DM. The JAC J3 drops 80% to just 400 units YTD, falling in the ranking from #2 to #5, while the BAIC E150 EV profits from the JAC's bad performance to climb one position and feature in #4. With a record 19.014 plug-ins sold in October, the global market for electric cars continues to grow, thanks to record sales from several models, like the Prius Plug-In, Volvo V60 Plug-In or the Energi brothers from Ford. In the first four positions the #4 Prius Plug-In had record month and it's now less than 200 units behind Tesla's Model S, which should bounce back nest month. Behind them a lot is going on: The Outlander PHEV, helped by its Euro landing, is in comeback mode and starting to look at Zoe's fifth place with envious eyes. Also ambitious is the #7 Ford C-Max Energi, improving every month (#4 this month), distancing itself from the Kangoo ZE and now searching for the two above, while its stablemate Fusion Energi climbs to #9. The Mitsu I-Miev, which has been losing steam lately, also loses the tenth place to a strong QQ3 EV from Chery. In the Manufacturers ranking, there's not much to say, Ford is going strong (#4 in October), and in the bottom positions we see an update on Chery's sales (4.207 units), allowing it to climb to #8. 1 - Which model will be #3 in November? Prius or Model S? 2 - Will the Outlander PHEV reach #5? 3 - Can the Fusion Energi reach #8? 4 - Will it be this time that the V60 Plug-In reaches the Top 10? 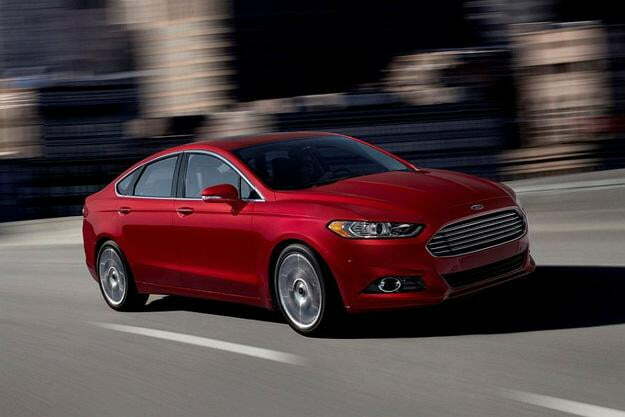 5 - Can Ford threaten the #7 of Mitsubishi? In a month without no clear winners (Prius Plug-In in the USA, Fortwo ED in Germany, Volt in Canada, V60 Plug-In in the Netherlands, Leaf in Japan, Twizy in Italy, Zoe in Austria and France, etc), it's worth mentioning the performance of the swedish electric wagon, besides having with 99% certainty two '13 YTD Best Selling Model (Netherlands and Sweden) for their trophy room, with a third (Finland) also on the way, this month it also secured the Best Selling PHEV title in Germany(!) and Italy, besides other encouraging results elsewhere. A good sign for the swedish carmaker and a hint that it should bet more on this segment, with increased production capacity, new markets and new models (XC60 Anyone?). Looking by continents, we can see the Leaf dominating the Euro and Asian market, while it's still fighting for #1 in the Americas, meaning that the three factory strategy is starting to pay off. In the US market the top 3 cars (Prius Plug-In, Volt and Leaf) were separated by just 93 units, while in the YTD chart, the Volt leads but has the Leaf right behind, with less than 700 cars separating them. Looking at EV shares, Norway and Netherlands EV Shares continue to grow like there's no tomorrow, (4,63% and 2,29%, respectively), while others are witnessing more moderate rises, like the in the USA, now at 0,59%. Like in the Netherlands, where a new record was set this month with 1.911 units, making it the best selling market in Europe. Mentioning countries with small footprints in the electric mobility thing, the Czech Republic has the Nissan Leaf in #1 with 11 units, the Peugeot iOn is second (6 units), while the other french derivative, the Citröen C-Zero is third with 4 units sold. Poland is another country where the Leaf leads (8 units), with the Opel Ampera second (3 units) and the Renault's Zoe and Twizy tied in third with 2 sales. 1 - Where will be beaten the next sales records? 2 - Who will be the US #1? 3 - Where will the Outlander PHEV be #1? 4 - Will the Zoe recover any more #1's? 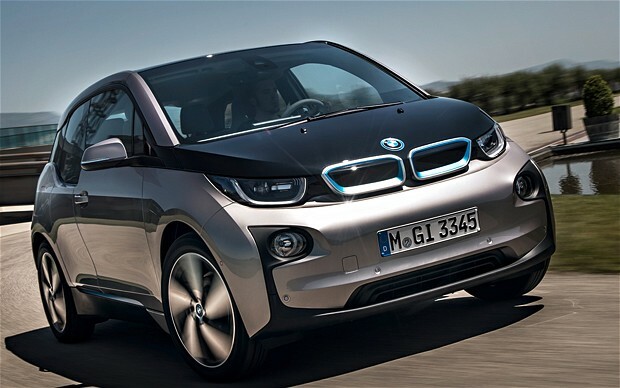 5 - Where will the BMW i3 reach #1? 6 - Will the V60 Plug-In collect any other #1? The new EV leader in Portugal? 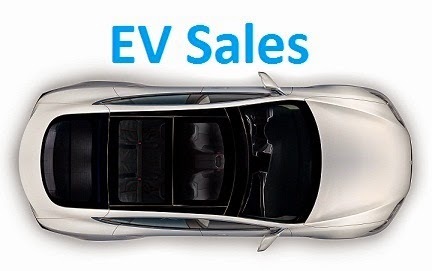 The October Portuguese sales data came almost in the end of November, showing that EV's are growing 55% regarding last year, and with YTD sales at 203 units, it looks like the 2011 sales record (210 units) will be beaten, a major feat considering that unlike in '11, now there aren't any incentives to buy EV's. All this translates in a not-too-shabby 0,23% share, better than the neighboring Spain (0,14%) or the UK (0,19%), for that matter. In the models ranking, lots of changes in a fairly fragmented market, the Renault Twizy recovers the Best Selling crown over the Peugeot iOn, with 5 units sold in October and mounting to 46 units this year and 23% share. The Nissan Leaf (3 units sold in October) also recovers the Third spot from the Renault Fluence ZE, while the BMW i3 lands the portuguese market with 4 units sold, a significant number considering the small dimension of the portuguese EV market and the fact that these are only demonstration units. The european plug-in market is growing for the third month in a row, with 6.153 units sold, October brought a new sales record, with two models selling in the four digit area: The Nissan Leaf (1.115 units), more and more the EV leader in the Old Continent, and the Volvo V60 Plug-In (1.075 units), that just keeps on improving its monthly numbers as well as its YTD position (It's now #4). The Smart Fortwo ED had a record month (395 units), climbing to #7 and the Bolloré Blue Car had a comeback month, selling 203 units, climbing two positions to #12. The BMW i3 makes its first appearance at the bottom of the ranking (#15), but with full on sales starting in November, things will only get better for the new bavarian baby. With 100 units in October, the swiss market stumbled 30% regarding last month but, despite that, the EV share is atable at. This month was the Renault Zoe turn to have a smash month, selling 52 units, making October the second best month of the french hatch in swiss country. As the #2 (Twizy) and #3 (Leaf), only registered one unit, Renault's star-baby distanced itself in #1 on the YTD chart. The other car to register significant sales on the EV chart was the Tesla Model S (18 units), making Switzerland one of the most successful markets for the american manufacturer. Finally, an unexpected move at the bottom of the YTD chart: The long dead Fisker Karma had some sort of resurrection (Stock clearance?) and sold seven units this month, enough to pass the dead man walking Citröen C-Zero and climb to #8. Is this the first Plug-In Hybrid to succeed in Italy? The Italian EV market grew for the second month on a row to 116 units, with the Renault Twizy (48 units) presenting the second best sales result of the year. In second came the Nissan Leaf, with 25 units, enough to cement its #2 place in the YTD chart. The surprising Volvo V60 Plug-In won the last place in the podium, with 15 units sold, beating the usual suspects Smart Fortwo ED and Renault Zoe, both having sold 12 units. No changes in the YTD chart, with the exception of the rapid rise of the V60 in the ranking (It's now #6), leading to a curious fact: The swedish wagon only needed three months to beat the Opel Ampera (#7) as the Best Selling PHEV in Italy. Great month for the Nissan Leaf, with 89 units sold not only it scored the best performance of the year in the spanish market and a personal best record, it also distanced itself from its french cousins, with the Renault Zoe (41 units, personal second best performance) and the Renault Twizy now some 100 units behind. The Renault supermini climbed to #2, changing positions with its tiny stablemate, now third,with the Twizy far from the performance it had last year (800 units sold in '12 vs 159 in '13). The Mitsubishi I-Miev (Just 2 units sold) is losing contact with the top 3, but should keep until the end of the year a meritable #4 position. As for the rest of the market, there's not much to talk about, with the Prius Plug-In collecting 3 more sales and consolidating its best selling Plug-In Hybrid title. This was the best month of the year for the spanish EV market, with 147 units, making the EV share to jump a little step to 0,14%.